Akvavit or AQUAVIT is a flavoured spirit that is principally produced in Scandinavia, where it has been produced since the 15th century. Akvavit gets its distinctive flavour from spices and herbs, and the main spice should (according to the European Union) be caraway or dill. It typically contains 40% alcohol by volume. The EU has established a minimum of 37.5% ABV for akvavit to be named as such. 10 Fascinating Things You Didn’t Know About Aquavit - Liquor.com. AKVAVIT - or aquavit. A flavoured spirit that is principally produced in Scandinavia, where it has been produced since the 15th century. get into the Scandinavian spirit with aquavit - The Telegraph. BrÄnnvin - the Swedish version of the general Scandinavian term for liquor distilled from potatoes, grain, or (formerly) wood cellulose; both of flavored and unflavored variants. The term includes vodka and akvavit, but akvavit is always flavored. LIST OF AKVAVIT PRODUCERS - Wikipedia. Norway's Linie Aquavit - Reviewed by the Foodist. snaps - Swedish and Danish word for a small shot of a strong alcoholic beverage taken during the course of a meal. A ritual that is associated with drinking snaps is a tradition in Scandinavia, especially in Sweden and Denmark, where it is very common to drink snaps at holidays such as Midsummer, Christmas and Easter. Tasting notes: Aalborg Akvavit - wine-searcher. world of aquavit - "Buy Scandinavian Aquavit Online." 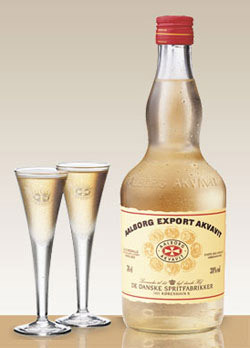 AALBORG EXPORT AKVAVIT - launched in 1913. Has a good complexity, with caraway aromas providing a background for a number of other aromas, such as prunes. AALBORG JUBILÆUMS AKVAVIT - launched in 1946. Golden and pleasant premium aquavit in a contemporary and exclusive bottle. The refined taste of dill and coriander makes it the perfect choice for any good meal, in particular light and simple modern cuisine. AALBORG NORDGULD - the world's only aquavit distilled with amber - the Gold of the North. AALBORG PORSE SNAPS - the slightly bitter Myrica gale is the most prominent initial taste impression. AALBORG TAFFEL AKVAVIT - launched in 1846. Very pure caraway bouquet which is only supported by a slight hint of orange. BOMMERLUNDER - since 1760. One of the most important German brands of aquavit. BRØNDUMS SNAPS - the most neutral caraway snaps in the AALBORG family. LINIE AQUAVIT - produced in Norway from potatoes. Traditionally flavored with caraway and herbs. 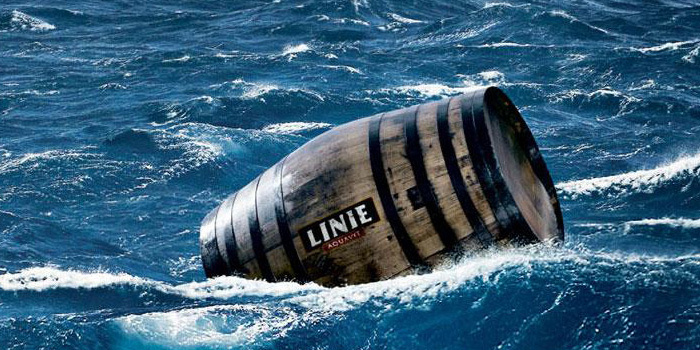 Has been carried in oak casks onboard ships crossing the equator (linie) twice before being sold. MALTESERKREUZ AQUAVIT - a German product comparable to its Danish counterparts. Norkap Akvavit - "Fine Nordic spirit based on Nordic culinary heritage with a twist of modern flavours. Mild, fragrant and elegant!" O.P. ANDERSON Original AQUAVIT - since 1891. Currently the only Swedish Aquavit being imported in the U.S.
SkÅne Akvavit - The little brother of O.P. Anderson was launched in 1931.